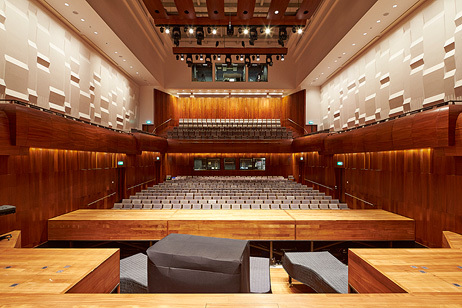 On Sunday 22 February, I’ll be performing Mozart’s London Notebook (or at least, most of it) at Milton Court Concert Hall, as part of Classical Opera Company’s MOZART250 launch weekend: ‘Mozart in London’. On 23 April 1764 the Leopold Mozart, his daughter Nannerl, and son Wolfgang, arrived in England. They lost no time in ingratiating themselves with Royalty, performing for King George III just four days later (Leopold noted in a letter of 28 May 1764 that they were on the most cordial terms with the monarch). Concerts given by the Mozarts were regularly advertised in the London press, stressing the astonishing facility of the youngsters – most especially the young boy, Wolfgang – who could perform at the keyboard with their hands covered by a handkerchief. Proceeds from the concerts typically went to cover the Mozarts’ day-to-day living expenses, augmented somewhat by doctors’ fees during Leopold’s protracted illness during the early autumn of 1764. It was during these months of confinement at their lodgings in Chelsea that the 8-year old Wolfgang began to note down (possibly with assistance from his father) some short compositions, most of them single movements (for instance contredanses and Minuets, sometimes with Da Capos) now known as the ‘London Notebook’ K.15a-ss. The notebook amounts in sum to 43 works written into a small oblong book of just over 100 pages ruled with six staves. Not quite 90 pages are occupied with music (all except the last few pages are written on two staves in keyboard score). In the notebook Mozart gives voice to the astonishing range of styles and idioms that he had encountered aurally at home and on his earlier travels through Europe to date. He shows a remarkably secure grasp of melodic writing, tonal structure, phrasing and texture for an 8-year old, albeit that some of his attempts were perhaps only committed to paper after improvements had been suggested by Leopold. In the vast majority of the 43 pieces the musical intention is crystal clear and the skill with which Mozart coordinates the most fundamental musical elements (for instance, achieving a convincing sense of direction, climax and closure within a melodic phrase, timed to perfection and with clearly expressed character) is at times breathtaking. No wonder the English philosopher Daines Barrington – who encountered Mozart in 1765 – was moved to write up his recollections in a paper presented to the Royal Society a few years later, detailing the young boy’s incredible gifts at extemporizing operatic recitatives and arias in a variety of styles. Some of the pieces in The London Notebook give us a glimpse of what powers of invention Barrington may have witnessed on that occasion, most especially the occasional groups of three pieces whose related tonalities and tempo indications (fast-slow-fast) seem to suggest that they were drafts of three-movement sonatas or symphonies traversing quite a broad panorama of emotions. While those proto-sonatas/sinfonias might represent Mozart’s thinking on the grander scale of the spectrum, most of the 43 works he wrote into the notebook towards the end of 1764 are of much more limited scope – charming binary- or ternary- form dances displaying a solid grounding in such technical concepts as modulation, sequential phrase-pairing and cadence-formation, all of which are represented in the very first piece in the collection, a minuet-like piece in F, K.15a. Unpretentious they may be, but Mozart frequently astonishes with witty turns of phrase, characterful cadences and unexpected harmonic successions, brilliantly timed for effect (for instance, the sliding chromatics in the F major piece, K.15v – possibly a sonata/sinfonia finale). Very often Mozart seems to be imagining orchestral sounds in these works (though notated in keyboard score). Some works are clearly suitable for domestic keyboard performance (most likely on clavichord, at which instrument they may also have been composed); most are not idiomatic keyboard works at all, and their textures are certainly not suited to performance on the spinet or harpsichord (the most commonly encountered keyboard instruments in England during Mozart’s visit). Indeed, much of The London Notebook may never have been intended as anything other than a private compositional record-book. Presenting these early works in a concert setting therefore required some careful advance consideration as to the sequence of performance, and the instrument. In order to contextualise as well as introduce these little-known testaments of youthful genius, the format of the presentation divides the 43 pieces (excepting fragments and items that are obviously experimental trials of some sort) into four tableaux separated by short verbal commentaries. The keyboard instruments available to Mozart as a child in London in 1764-5 certainly included spinet, harpsichord and clavichord, but not quite yet the square piano so beloved of his mentor, Johann Christian Bach (the ‘London Bach’) whose works he revered and subsequently arranged. In terms of the practicalities of sound in a modern concert space, and in order adequately to realize the ‘orchestral’ colour contrasts and expressive nuances found in so many of these works, the instrument used today is a copy of a Viennese fortepiano – an instrument which Mozart was subsequently to make his own, and on which he was able as a mature artist to crystallize the broad palette of sounds that we find emerging in his youthful imagination in The London Notebook.